Illegal actions by debt collectors remained a huge source of consumer complaints in 2017, according to two federal agencies filing a joint report. The Federal Trade Commission (FTC) and the Consumer Financial Protection Bureau (CFPB) say they fielded thousands of complaints about debt collections, with nearly 85,000 filed with the CFPB alone. The report says follow-up investigations revealed a large number of violations of the Fair Debt Collections Practices Act (FDCPA), consumers' chief protection against debt collection abuses. In two federal court cases, CFPB filed "friend of the court" briefs. It resolved one FDCPA enforcement case, resulting in both consumer relief and a payment to the civil penalty fund, and continued to litigate five others. 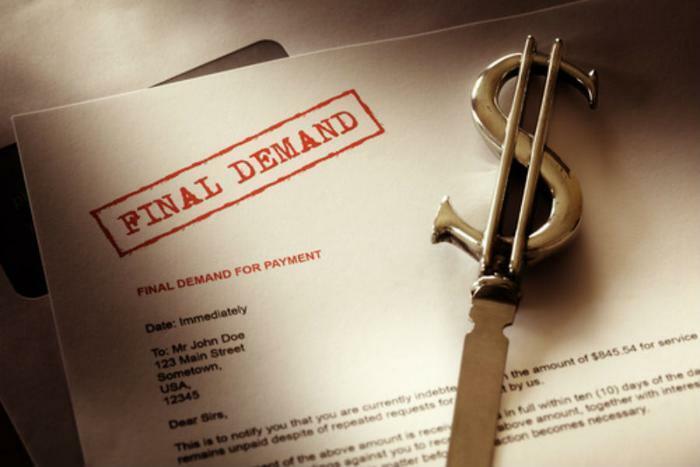 The agency also produced five sample letters for consumers to use when they have contact with a debt collection. The letters were downloaded more than 517,000 times last year. The FTC filed or reached resolution in 10 cases against 42 defendants, collecting more than $64 million in judgments. It also banned 13 operators from the debt collection business due to serious and repeated violations. Consumer groups say the report is evidence that consumers need more protection from debt collectors through tougher laws and more vigilant regulators. “Far too many consumers continue to report that debt collectors hound them about money they have already paid off or never owed in the first place,” said Suzanne Martindale, senior attorney for Consumers Union. The Trump administration has made clear it will do nothing to get in the way of debt collectors who are seeking payment of student loans. Last week it served notice that the Department of Education plans to block states from regulating student loan servicers who are attempting to collect on past-due payments. The federal agency published a notice of its intention to preempt states' consumer protection laws that have attempted to regulate student loan debt servicers in how they go about collecting money owed on federal student loans. "The Department believes such regulation is preempted by Federal law," the declaration states. "The Department issues this notice to clarify further the Federal interests in this area." According to the FTC-CFPB report, complaints about abusive communication tactics were the third most common debt collection complaint category, including frequent or repeated phone calls and the failure of debt collectors to stop calling after the consumer requested them to stop. Under the FDCPA, a debt collector may contact you in person or by mail, telephone, telegram, or fax. A debt collector may not contact you at inconvenient times or places, such as before 8 a.m. or after 9 p.m., unless you explicitly agree to be contacted during off hours. A debt collector is also forbidden from contacting you at work if they know that your employer disapproves of such contacts. Learn more about your rights under FDCPA here.